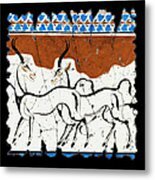 Antelope Of Akrotiri is a painting by Steve Bogdanoff which was uploaded on January 20th, 2013. 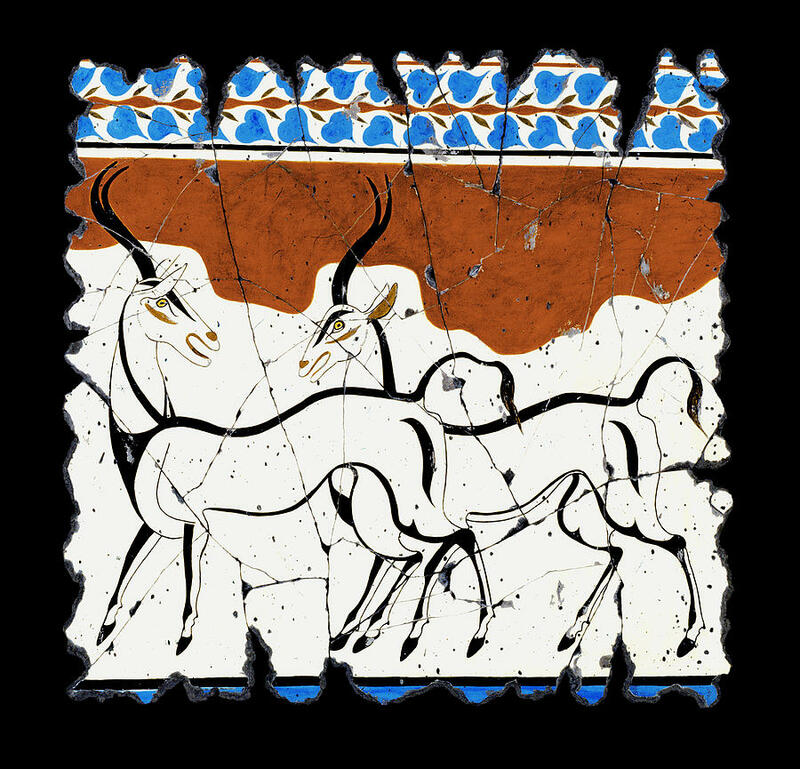 Inspired by the mural from the west wall of Room Beta 1 at Akrotiri, a Bronze Age settlement on the Aegean island of Thera. Late Bronze Age (Late Minoan/Early Mycenaean) c. 1500 B.C. 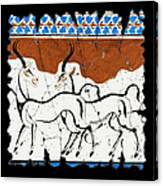 The middle zone on the west, north and east walls of Room Beta 1 were devoted to a study of the antelope. Though the antelope are rendered in outline only, the artist revealed the strength of his talent, giving them expression and depicting them in an amorous converse, as is shown by the movements of the heads, of the lips and the tails. 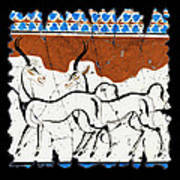 There are no comments for Antelope Of Akrotiri. Click here to post the first comment.